Badger’s has a double bedroom. The front door opens into a small hall leading to the lounge and the bedroom. The dining area is to the side of the lounge with the kitchen off to the side. 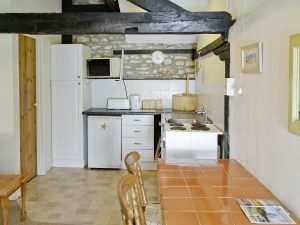 The kitchen is fully equipped providing everything that we think you will need for your holiday. 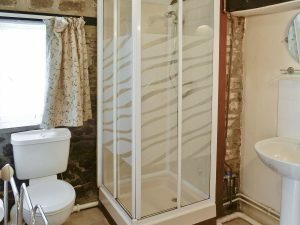 There is a shower room at the back of the cottage. All on the ground floor. Open plan living space. 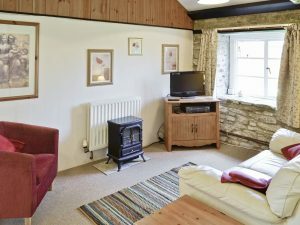 Living area: With electric coal-effect fire, 22″ Freeview TV, DVD player and CD player. Small decked patio with garden furniture. Please note: There is a step to the decked patio. 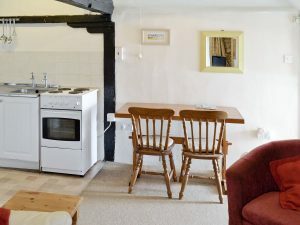 All prices are inclusive of central heating, electricity, bed linen, towels and Wi-Fi. Cot and highchair available. Welcome pack. Laundry room with washing machine, drier (shared). 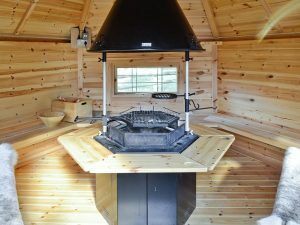 2-acre natural woodland grounds built-in barbecue hut and 2 portable barbecues (shared with other properties on-site). Private parking for 2 cars. 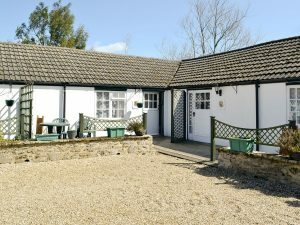 Recreation room with table football, table tennis and a selection of books/DVDs (shared with other properties on-site). No smoking. Large, fenced duck pond in the grounds. 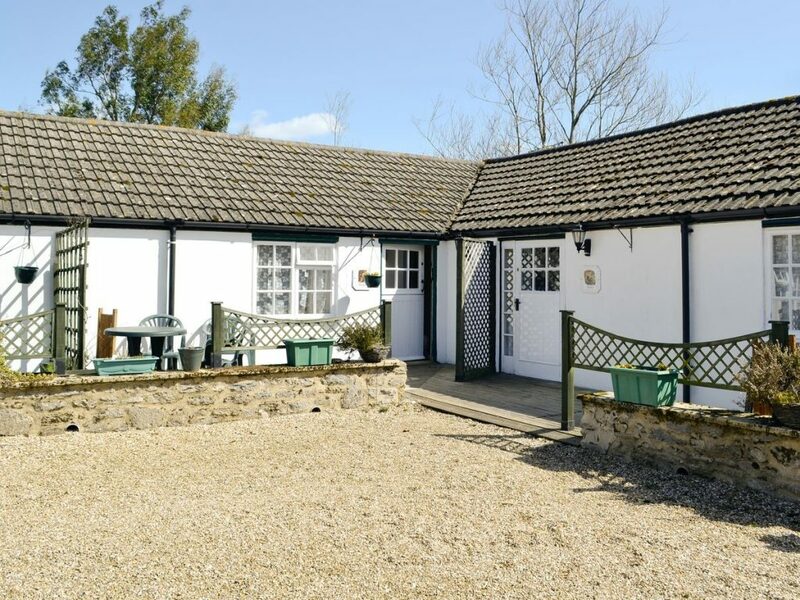 All bookings are based on 7days with a Saturday arrival, outside of prime holiday weeks or when we have short term availability, short breaks may be available, but please always email enquiries@whitehorsefarm.co.uk or call 01963 210222 to discuss. 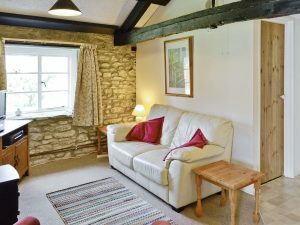 For weekends the rates are from 60% of the weekly rate for 3 day and 80% for 4 day breaks. 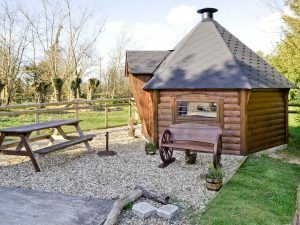 We are in rural Dorset and surrounded by miles and miles of glorious unspoilt Hardy countryside. 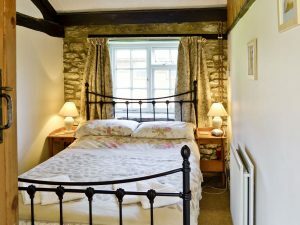 Lying between the historic towns of Sherborne, Dorchester and Cerne Abbas, our cottages and farmhouse are within easy reach of local inns which all serve good food and fine Dorset ales in a friendly atmosphere. 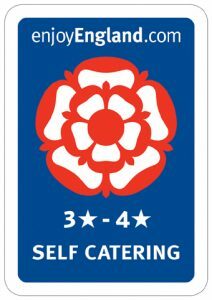 We are also only 150 yards from the “Hunters Moon” pub next door. Thanks for visiting our website.